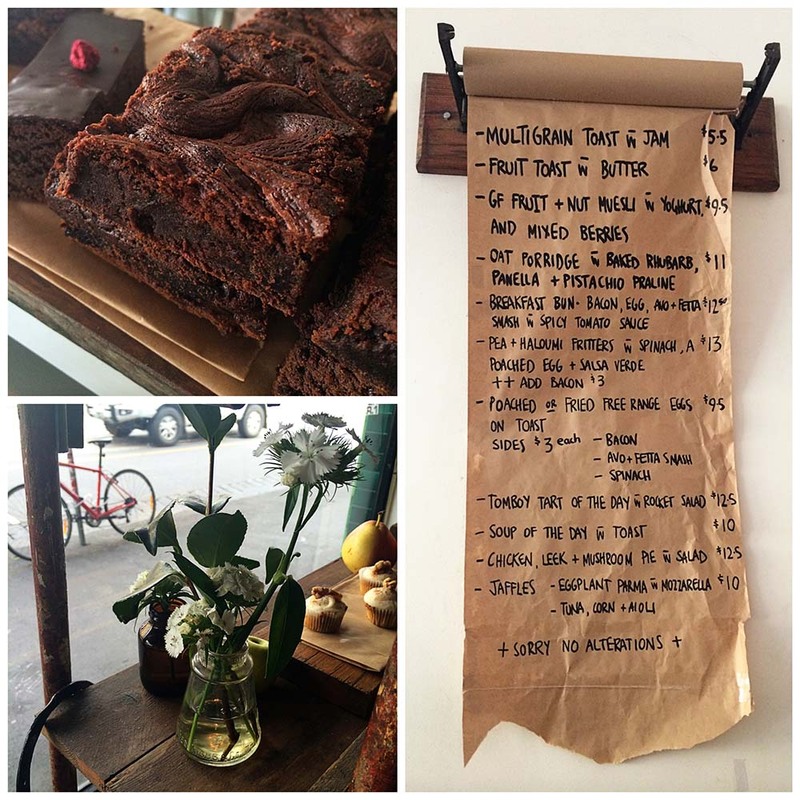 Tomboy Melbourne...where a love of repurposed industrial meets the best brownies in the city...with a home grown veggie patch and a well worn collection of Enid Blyton books on the side. I'll cut right to the chase here...Pia and Georgina happen to have the most perfectly named baking business...Box Brownies...supplying other cafes with their sweet baked treats. Tomboy Melbourne was opened late last year, which has enabled them to not only sell their baked goods (gluten free included)...but to extend their offerings to include a focus on seasonal produce from local suppliers...including their own veggie patch. Georgina was named after George from the Famous Five...an original tomboy from way back...and a shelf of Enid Blyton books can be found in the corner...dog eared & much loved :) So my question to you is...how could I not visit a place whose very foundations were based on brownies, with a strong allegiance to my childhood heroes...the Famous Five? A strong sense of repurposing & sustainability is evident as soon as you step through the door. Everything is retro/industrial, and has previously lived another life. But it all comes together beautifully...the mural on the wall most striking. I found it hard to stay seated at the table because there were so many touches I wanted to explore. I LOVED the huge communal table with the sunken centre alongside the exposed brick wall...it immediately reminded me of my Dad's workbench...and the mint and metal chairs...I wanted to kidnap them all. I appreciate a menu that covers the classics (smashed avo & poached eggs, jaffles etc. )...some of which include a twist to keep it fresh. Not too overwhelming, not too narrow in choice....simplicity at its best, with a good heart. Their coffee reminded me of Pilgrim in Hobart (aka v. good)...and I loved how there was plenty of space for people to gather as they dropped in to pick up take aways as the morning progressed....clearly a neighbourhood favourite. Their window displays...fresh flowers, apothecary jars, cupcakes resting gently on butchers paper & wooden boards. 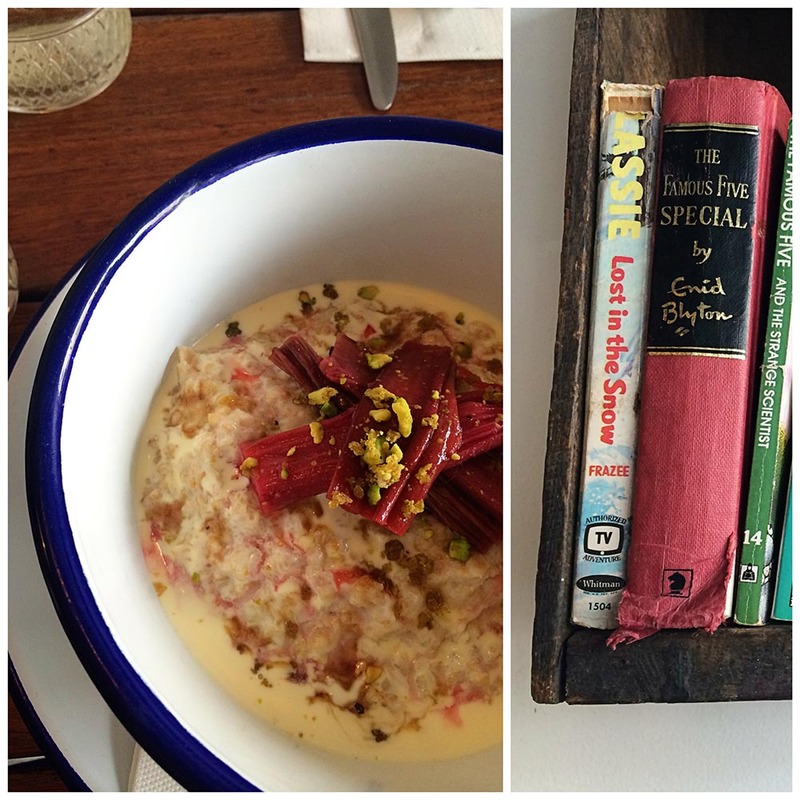 You will find them at 356 Smith Street, Collingwood...and on Facebook.